WalmartWalmart employees are getting new cell phone privileges. Employees who participate in the new program, which Walmart is calling “bring your own device,” will get a discount on their cell phone bills. The program will give Walmart some limited access to information on employees’ phone usage. The company plans to announce Tuesday that starting this month, Walmart will allow store employees to use their cell phones on the sales floor to clock in, check inventory and prices, scan products, review sales data, and perform other work-related tasks. Previously, Walmart employees were banned from using their phones on the sales floor. Employees who participate in the new program, which Walmart is calling “bring your own device,” or BYOD, will get a discount on their cell phone bills, the company said. The program is optional. Walmart said it was introducing the new program after hearing from some employees who said they would prefer to use their smartphones, rather than store devices, to perform work-related tasks. 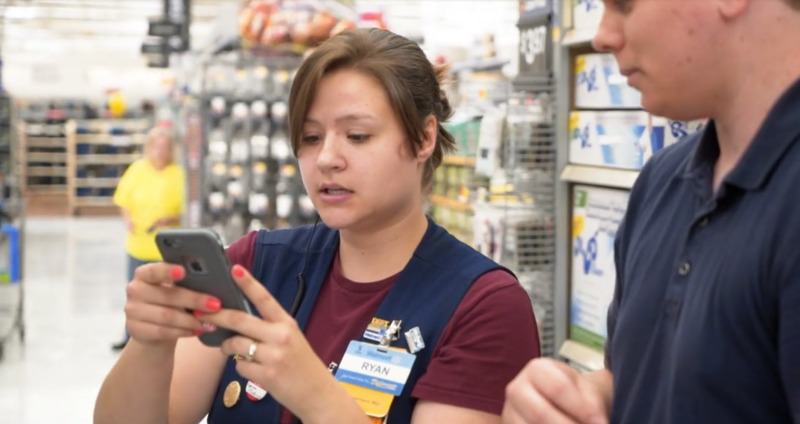 To take part in BYOD, employees must download a new suite of Walmart apps to their smart phones. The apps give employees access to information, such as historical sales data and product delivery schedules, that was previously only made available to management. 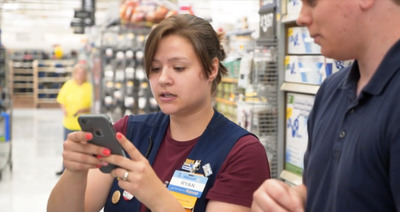 “With BYOD, the moment associates clock in at work, they have tools that enable them to do the best job possible, right in their pockets,” said Brock McKeel, Walmart’s senior director of digital operations. The program will give Walmart some limited access to information on employees’ phone usage. That information includes battery level, storage usage, corporate email and data, phone make and model, carrier, and phone number. Walmart said it will not have access to employees’ personal email and data, photos and videos, voicemail, text, web activity, location, or list of apps.